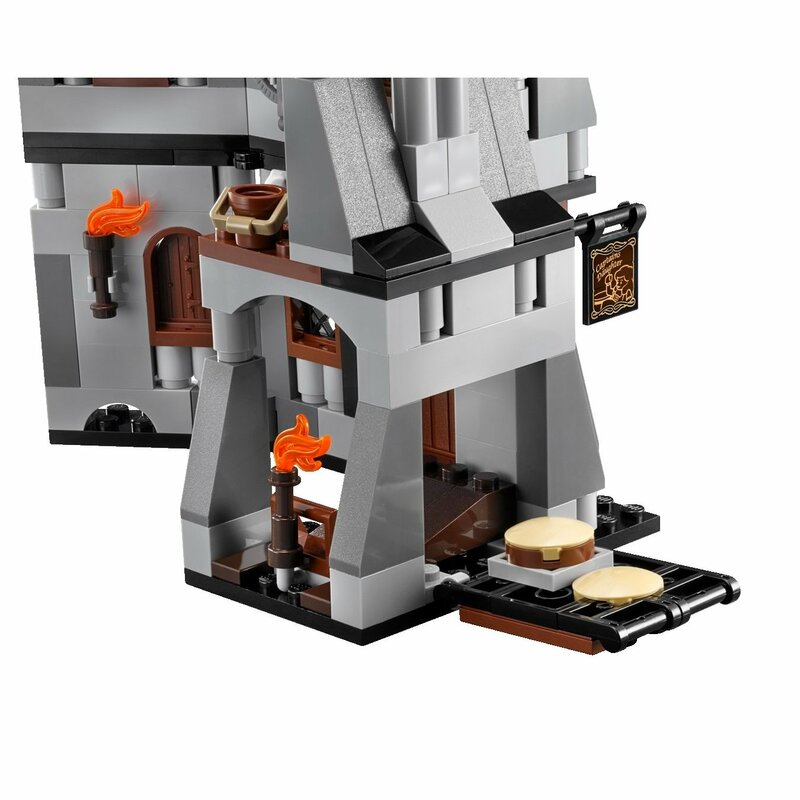 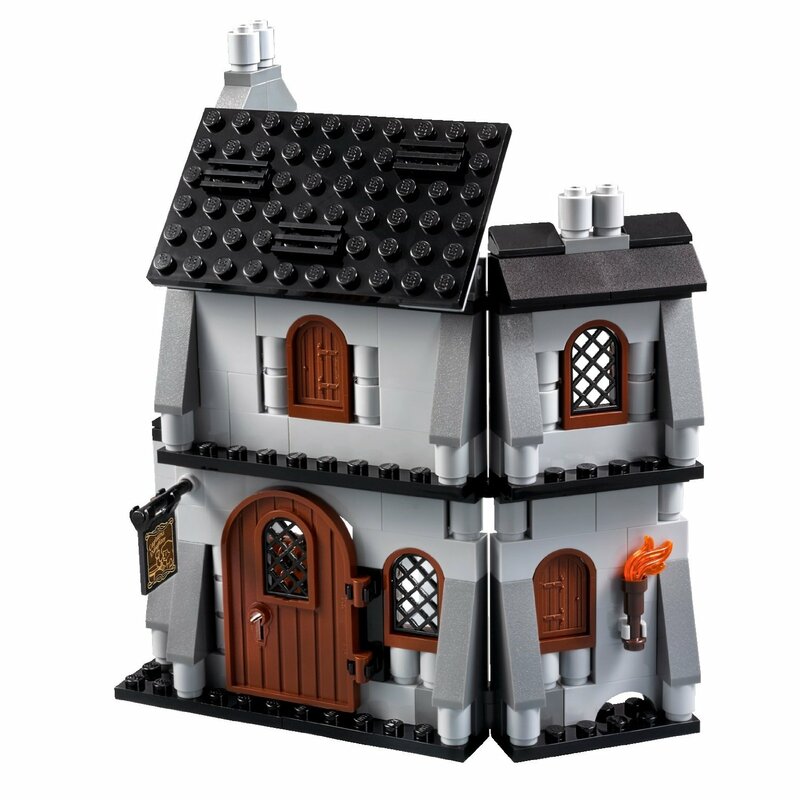 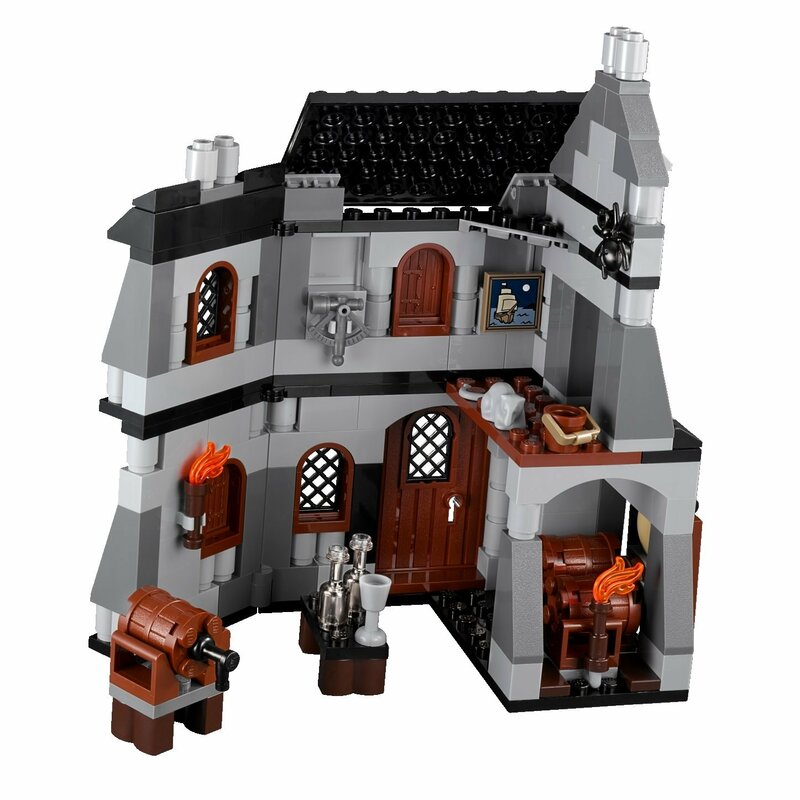 the tavern has a hidden exit. 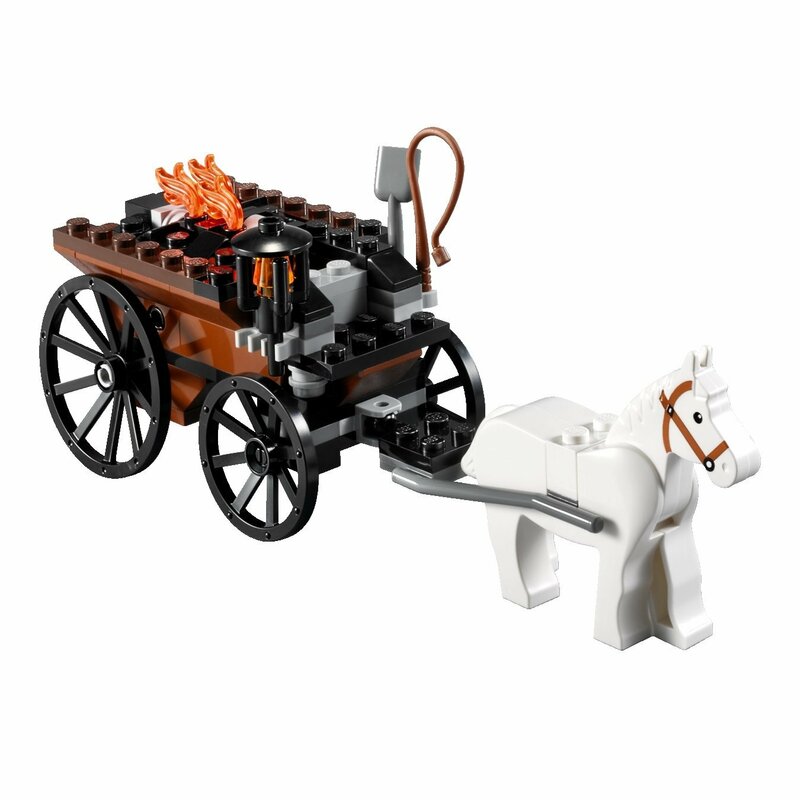 also included 2 carriages with 2 horses. 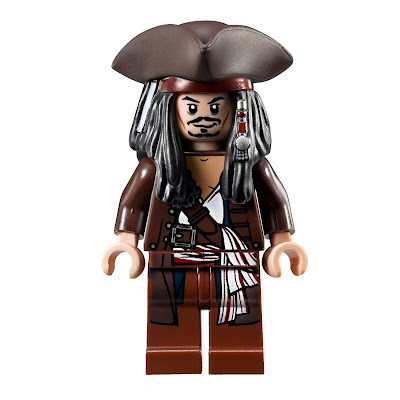 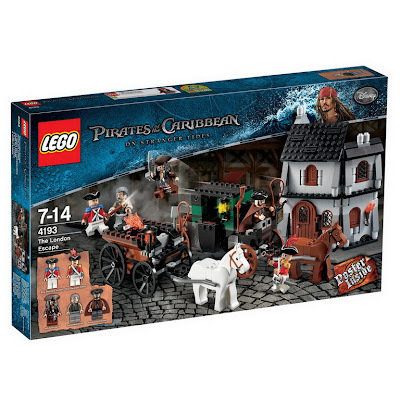 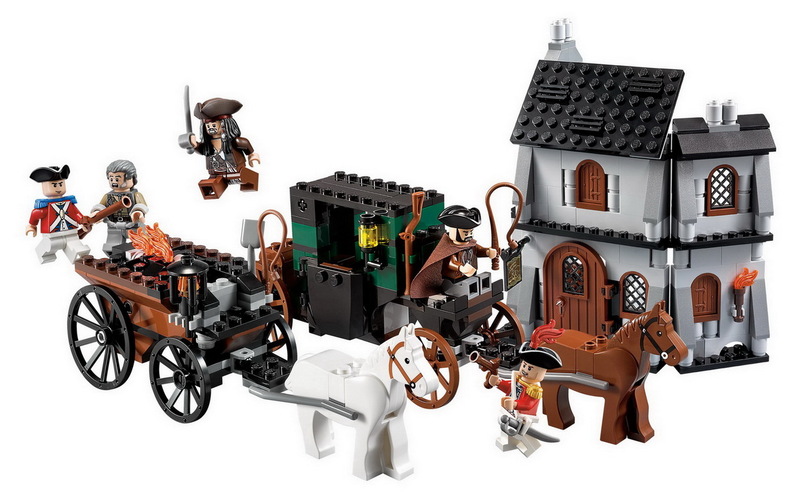 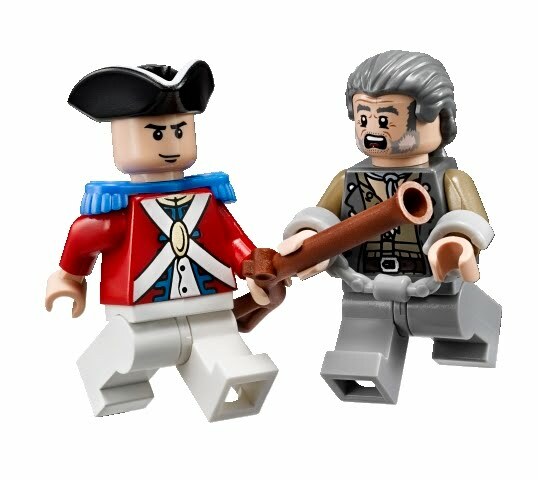 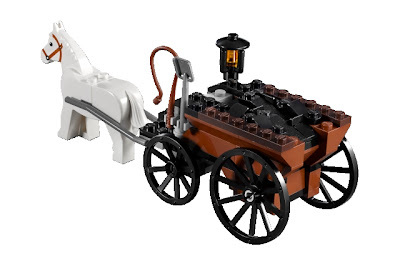 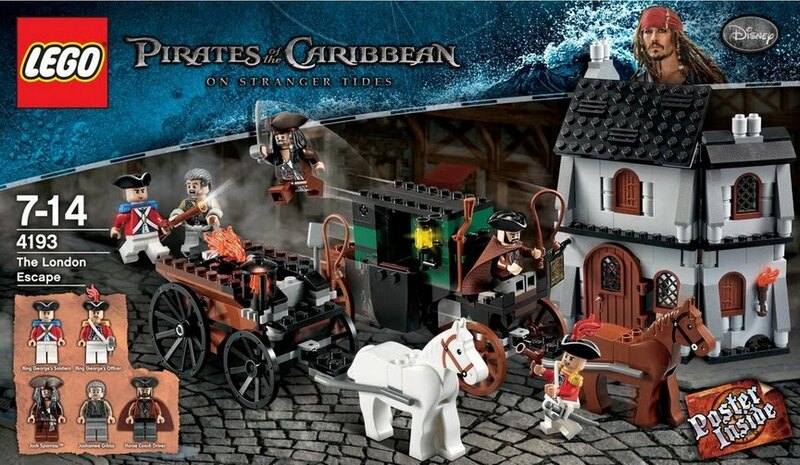 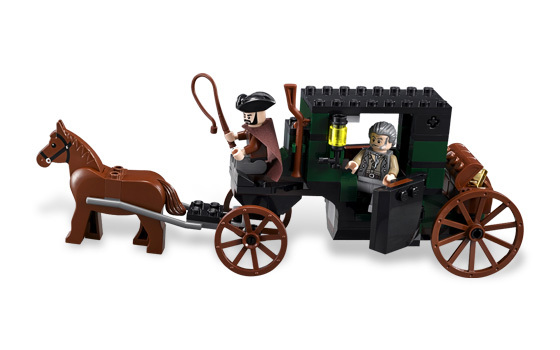 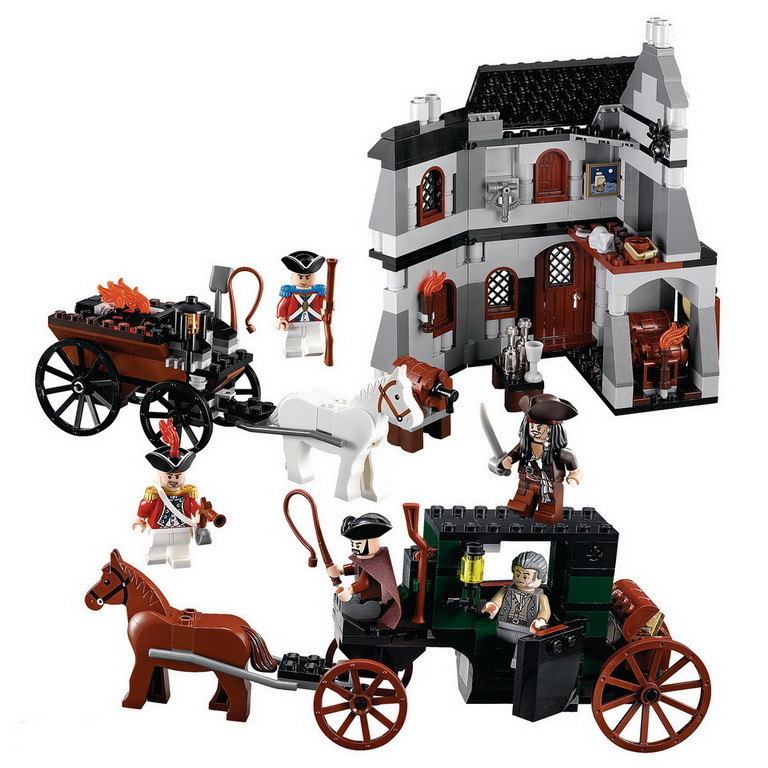 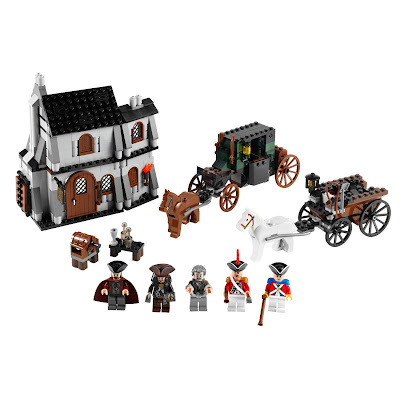 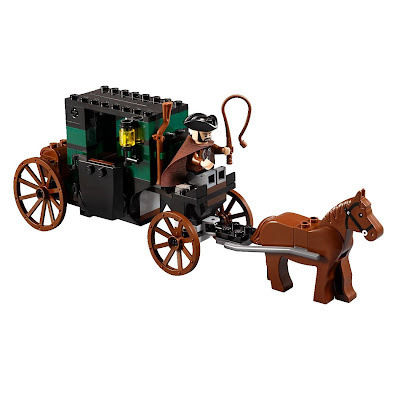 minifigs included a jack sparrow minifig, a joshamee gibbs minifig, a horse coach driver minifig and 2 King George soldier minifigs.